Our law firm can trace its beginnings to the hard work of two men: William L. Beecher and E.H. McCoy. In 1918, these two men formed Beecher & McCoy and started a legacy of providing trusted legal counsel to people of the Cedar Valley. William L. Beecher’s nephew, W. Louis Beecher, joined the firm in 1947, beginning a career that spanned 64 years until he retired as Senior Partner in 2011. Beecher, Field, Walker, Morris, Hoffman & Johnson, P.C. has provided trusted, professional representation to individuals and businesses throughout the Cedar Valley throughout our history. Four of our firm’s attorneys have been appointed to judgeships, and we remain committed to serving our clients in the best and most legally responsible way possible. Our attorneys each specialize in specific areas of the law, including worker’s compensation, real estate, estate planning, family law, personal injury, corporate formations, bankruptcy, business transactions, collections and social security disability. 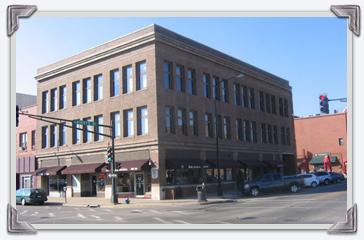 We’ve called downtown Waterloo home since 1960, when we moved into our current office on the second and third floors on the corner of Lafayette Street and 5th Street.